Everyone is invited to an afternoon/evening of celebration at Maggie’s house on Saturday, 22nd August. 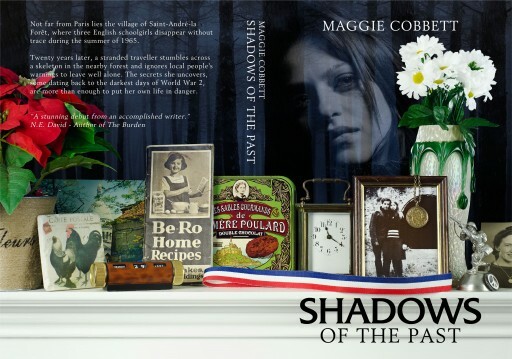 From five o’clock onwards, there will be food, drink, music and – inevitably – the odd reading from Shadows of the Past. Based partly on the bizarre events of a summer in France during Maggie’s teens, this novel has had a long gestation period but is (Maggie hopes) all the better for that. Please go along if you can, even if only for half an hour or so. If you really can’t, there will be a repeat (but smaller) event in York on Saturday, 29th August, so please ask Maggie for details. The novel is available both as a paperback and as a download and Maggie is proud to announce that The Little Ripon Bookshop has copies.